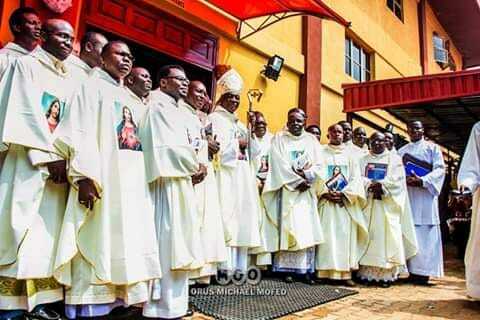 Dear friends in Christ, Congratulations to the priests that were transferred to their new places of assignments in Lagos Archdiocese. It takes effect from today, 30th November 2018. We thank them for the services rendered in their previous places of assignments. Some of them have reached their new places of assignment, while some are currently on their way. We pray for them, that God will give them a safe journey and grant them a peaceful stay in their new assignments, appointments and parishes, Amen.